The roof of a tunnel "caved in" at the Hanford nuclear site in Washington Tuesday morning, per Hanford spokesman Destry Henderson. Hundreds of workers were in the "take cover" position after the collapse, and facility personnel were evacuated, according to the Energy Department, which labeled the incident an emergency. What happened: The tunnel that caved in was filled with radioactive trains that transported nuclear waste. 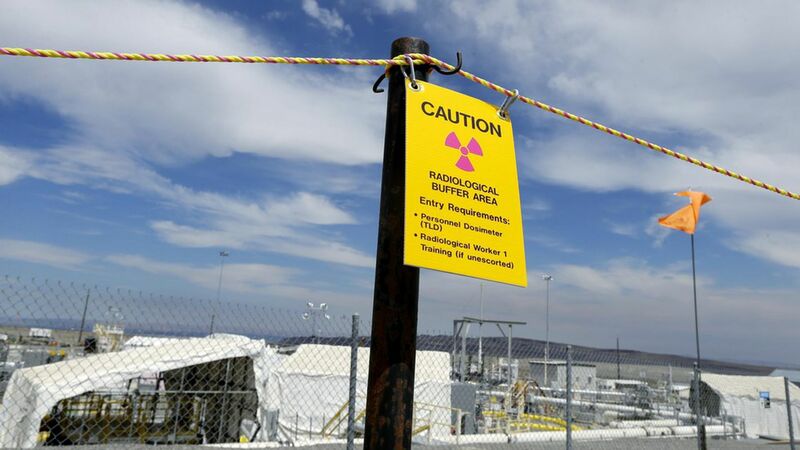 A spokesperson for the Washington Department of Ecology said that there has been no detection of a radiation release, which Henderson confirmed Tuesday afternoon. Why it matters: The Energy Department has acknowledged in 20 studies that there is a safety risk to the workers at Hanford; the site is where plutonium was produced for the Nagasaki Bomb and has been dubbed "the most toxic place in America" and "an underground Chernobyl waiting to happen" since it's the largest depository of radioactive defense waste. "There are concerns about subsidence in the soil covering railroad tunnels near a former chemical processing facility," per the Energy Department. Employees were told to "secure ventilation" in their buildings and "refrain from eating or drinking," per KING Television. Workers in affected areas have gone indoors, per the Energy Department. Residents of Benton and Franklin Counties have not been required to take shelter, per the Energy Department. Employees at nearby Vit Plant are also in the "take cover" mode, per KING Television.